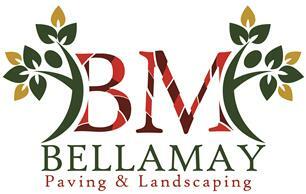 Bellamay Paving and Landscaping - Driveways/Patios/Paths, Landscaper based in Aylesbury, Buckinghamshire. Welcome to Bellamay Paving and Landscaping, My name is Tom, I am 35 years old and I am the owner/director of the company. We pride ourselves on delivering the highest standard of work for the lowest possible prices, to ensure our customers are getting the best they can for their money. We only take on 1 job at a time to ensure our full commitment and dedication is solely on you and your job alone. It is myself that comes out to meet you, quotes your job, works out your quotation and carries out all of the work along with my team, so you deal with me directly from start to finish which many of my customers find very comforting and reassuring. We are a company that is all for the customer, we want to give you exactly what you want, and if you don't know what you want, we can advise you on what we would recommend, and we also offer a free of charge design service. Me and my team have built up our strong reputation as Bellamay through consistently delivering excellent customer service and providing high-quality workmanship in all our work. There are no hidden costs you'll be invoiced for at the end, the price I give on the quote is the price you pay! We use the highest quality material which comes with a 10 year manufacturers guarantee, along with our 5 year guarantee for front drives and patios. Please call us for a free, no obligation quotation. No job too big or too small!! Please check our feedback and latest work on Facebook! We are based in Aylesbury and cover Buckinghamshire, Hertfordshire, Oxfordshire and Middlesex.